…from the New York Times…. The N.B.A. has started an investigation into remarks attributed to the Los Angeles Clippers owner Donald Sterling after the release Friday night of an audio recording on TMZ.com in which a person TMZ identified as Sterling admonished a female friend to avoid being seen in public with black people. Reaction around the league, whose players are predominantly African-American, was swift. The Clippers, who are in San Francisco for their first-round playoff series with the Golden State Warriors, held a team meeting late Friday, according to The Los Angeles Daily News. Magic Johnson, the former Lakers star and minority owner, said on Twitter that he would not attend a Clippers game as long as Sterling remained owner. In the audio recording, a person identified by TMZ as Sterling can be heard chiding a female friend, identified by the website as V. Stiviano, saying he was mad she posted a picture on her Instagram account of herself and Johnson. Texas closes the door or Abortion And poor Women’s Health Services…. Conservatives Republicans have got their way…. They’ve cut abortion AND poor women’s healthcare services …. It WILL result is an INCREASE in children…. Those children will be American’s…. And just maybe down the road? Those children will seal the fate of the Republicans…..
Marlena, 32, knew all about the raids on la pulga, because that’s where she used to buy her birth control. On a recent Wednesday, most of the women visiting the local San Juan Community Center, where Planned Parenthood has managed to keep open a once-weekly health clinic, had heard about the raids. Some of them said they had always been afraid to buy contraception there, because who knew how long the drugs had been sitting out in the sun? Claudia, also 32, shook her head. “It’s better to be checked by a doctor,” she said. But she hadn’t seen a doctor since the birth of her youngest three years ago. She’d come to the clinic this time for a breast exam and a pap smear. “If I hadn’t planned, I would have had at least eight kids,” said Marlena. The youngest of the four children she does have clambered at her feet. “But sometimes you have the money, and sometimes you don’t.” Her husband is a carpenter, and when it rains, there is little work. It had taken both of them months of calling to get an appointment at the clinic. That Wednesday morning, a four-hour wait past the scheduled time to see the single nurse practitioner wasn’t a surprise. The women patiently juggled each other’s babies on their laps. Quiero cuidarme, they said of their need for birth control. I want to take care of myself. Much as they’ve tried, they haven’t always been able to do that. One woman at the clinic has nine children. Both Claudia and Marlena want to get their tubes tied, but neither can afford it. “I’ve been on the waiting list for two years,” Marlena said. In 2010, Planned Parenthood of Hidalgo County, which covers much of the vast Rio Grande area, saw 24,000 patients, including at the San Juan center. Then came the Republican legislature. “Sixty-six percent of the funds were slashed completely and given to other programs that don’t do family planning – worthwhile programs, but they’re not for women, especially not poor and uninsured women,” said Patricio Gonzalez, the CEO of Planned Parenthood of Hidalgo County. That funding cut was followed by state legislation, heralded by Gov. Rick Perry, intended to stop Planned Parenthood from receiving any public funds. The Hidalgo County affiliate had never provided abortions – in fact, public health experts estimate it had prevented between 1,000 and 1,500 abortions a year with its family planning services – but it was doomed by its connection to national Planned Parenthood and its willingness to make referrals to Whole Woman’s Health, the now-shuttered abortion clinic in town. The family planning money that was left after the funding cuts was divided into three tiers that put Planned Parenthood and other explicitly-pro-choice providers at the very bottom, even though none of the funds were going to abortion services. The county health departments and federally qualified health centers that were supposed to replace Planned Parenthood are already overwhelmed by providing primary care, and they don’t specialize in family planning. Welcome to Plan B for the Politicaldog101…..
For those of you who follow the Dog…..
I’ve had to switch to plan B….. The Hosted website has been down for 25 or so hours…. Timing out the server I use from my host hostgator…. My webmaster seems to be busy…. so I’m wait for her to fix the issue so host gator will put the site back up…. And it seems it was NOT your url…. But MY host that caused the problems with the site…. We’ll use this as our Open thread….. When ever my webmaster should be able get this taken care of …. The World Trade Center and Space Shuttle…..June 2012…. 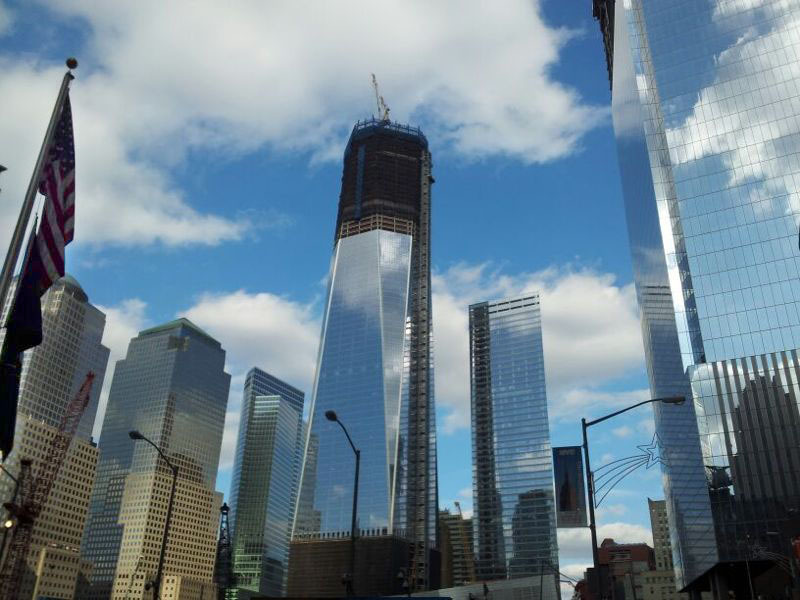 photo…The Port Authority of NY and NJ…..
One World Trade Center ….December 2011…..
For an excellent photo History of the construction of One Wotld Trade Center click Here.….